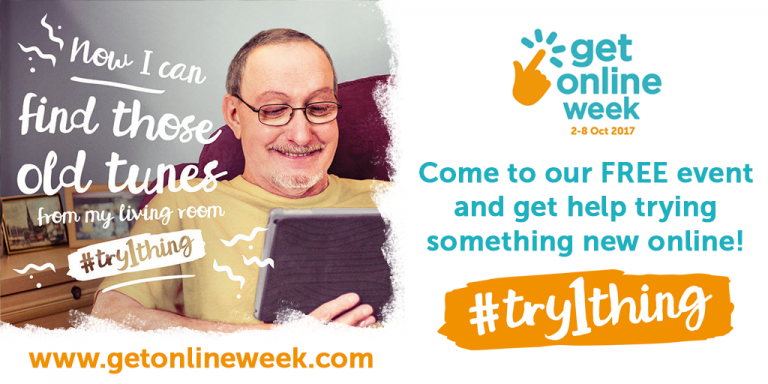 During ‘Get Online Week’ 2nd-8th October, with the help of a team of ‘Digital Champions’ from Lloyds Banking Group, we’re hosting ‘taster sessions’ for anyone who is not online/not confident about using a computer/tablet. We’ll find out what folk are interested in then help them have a go e.g. at looking up their address/old address on google maps, finding a favourite TV show/film/personality, looking up the website of their club/group/church, browsing the John Lewis/similar site etc. Encourage a friend or family member who has yet to take the plunge online or come along yourself!